Healthcare facilities are profuse in Etawah, which range from hospitals and nursing homes to doctors and clinics. The chemists in Etawah also form an important part of the healthcare services offered to the people here during the emergencies. These chemists of Etawah stock and sell all types of generic as well as crucial life-saving drugs. Allopathic, homeopathic and ayurvedic medicines – all are available at the pharmacies in Etawah. 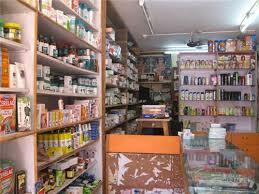 All types of healthcare supplements and are also sold at the medicine shops in Etawah. Medical gadgets such as glucose meter are also available at the medical stores in Etawah. The chemists in Etawah are found along all the major thoroughfares in and around the city.